The London pollution limit of just 18 hours per year was exceeded in the first eight days of 2016, making it one of the most polluted cities in the the European Union, according to London Air, part of the Environmental Research Group based at King’s College London. London has been in breach of European Union air quality regulations since 2010. If what happened during the first eight days of this year continues throughout 2016, London’s pollution levels will have gone over the limit by a factor of 45 by December 31st. Putney High Street in Wandsworth was the first place in Britain’s capital to exceed nitrogen dioxide limits in 2016. In fact, levels in Putney High Street went over the limit 19 times during the first eight days of this year. Its nineteenth breach occurred during Friday morning’s rush hour. There are various types of pollution. Airborne particulates, chemicals, sewage, noise, household/commercial waste, construction debris, and artificial light, for example, are possible pollutants. European Union rules stipulate that nitrogen dioxide atmospheric concentration levels must not be exceeded by eighteen hours each year. It is also the stated objective of the British government. The Oxford Street analyser took a mere two days in 2015 to breach legal objectives for nitrogen dioxide for the whole year, London Air informed yesterday. In 2016, the Oxford Street monitoring equipment developed a fault on 3rd January (Sunday). Westminster Council says its equipment maintainers are working to fix the fault as fast as possible. While much of the public’s and press’ attention is focused on Oxford Street, London Air reminds us that the majority of London’s main roads regularly breach nitrogen dioxide levels. During the first month of last year, five roads breached the objectives. Atmospheric nitrogen dioxide levels got worse from 2005 to 2010, and improved alongside the majority of London’s roads from 2010 to 2015. The Government says that between 2005 and 2013, emissions of nitrogen oxides have declined by 38% in the UK, while particulate matter went down by over 16%. Under current plans, London Air predicts that the UK’s capital will not be able to adhere to EU rules until 2025. Children are particularly susceptible to the harmful health effects of air pollution because their lungs are not yet fully formed, they breathe more rapidly than adults and have a faster metabolic rate. The Mayor of London’s strategy aims to get the capital’s air quality to within EU limits by 2025. An ultra-low emission zone will be introduced by 2020, taxis will be licensed to be zero-emission capable from 2018, and buses will be retro fitted so they are virtually pollution free. Air pollution is mainly caused by the combustion of fossil fuels, which is used by road vehicles, domestic heating, industrial processes and power generation. The combustion of fossil fuels can give rise to several pollutants, including nitrogen oxides (NOx)2, sulphur dioxide (SO2), and particulate matter (PM). London Air reminds people who exercise in the streets of London that some routes are more polluting than others, and concentrations of harmful substances in the atmosphere vary considerably during the day. Chemical reactions that occur in the atmosphere can also result in the generation of other pollutants. Ozone, for example, is produced by the effect of sunlight on nitrogen oxides and volatile compounds, as well as industry, while sulphur dioxides and NOx may also contribute to the formation of particulate matter. 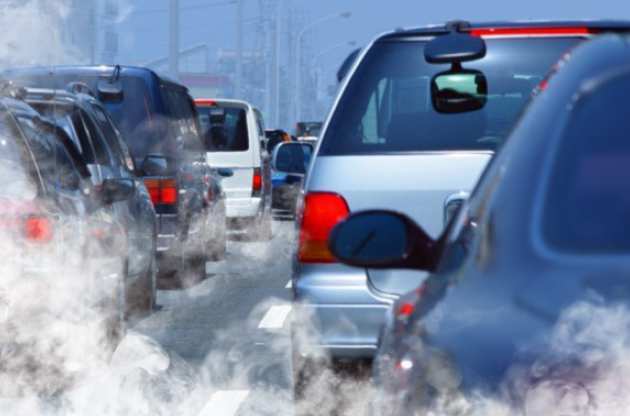 According to the Government, transport is responsible for about 80% of NOx emissions. Should I exercise in London’s streets? Exercise is both fun and good for your health. London Air says the health benefits we get from exercise are generally believed to be greater than the adverse consequences of atmospheric pollution. However, London has some of the highest pollutant concentrations in the country, and the higher breathing rates during exercise mean larger doses delivered to our lungs. Children especially, are more susceptible to the detrimental effects of air pollution because they breathe faster than adults and have a higher metabolic rate – also, their lungs and immune systems are not yet fully developed. Your exposure to pollutants and particulate matter varies considerably during the day – so picking the time when you go on a run matters. Cyclists, who often have to travel along busy roads, may not be protecting themselves from breathable particles if they wear a mask (there is not much evidence that they help). Exercisers can use the London Air website to choose routes that minimize their dose of air pollution. The National Health Service has advice on the benefits of exercise. Londoners can also sign up to a pollution-alerting service using airText. In just 8 days, London’s pollution exceeded the limit for the year. Alan Andres of Client Earth respons to the news.